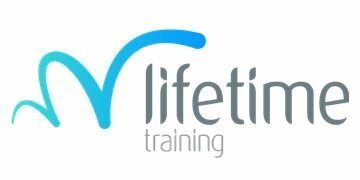 This is a 12-15 month Apprenticeship and during this time, you will work towards your qualification with award winning training delivered by Lifetime Training. This is a work based training programme. Basingstoke Aquadrome are currently recruiting for driven and passionate candidates to join an Apprenticeship scheme. There are a number of positions available ranging from Leisure Attendant, Swim coach, Hospitality to Customer Service. The Leisure Attendants role is to work within the leisure centre ensuring customer safety and high standards of service and customer care at all times in of utmost importance. The role will involve supervision of specific poolside activities, maintaining high standards of cleanliness in particular in customer critical areas and the safe handling and set up of equipment. A Swim Coach role also involves supporting the centre swim teaching team to deliver exceptional swimming lessons. The customer service apprenticeship involves learning and providing front line customer service at reception. •	Provide supervision of swimming pools to ensure customer safety at all times by preventing accidents and incidents and by taking the appropriate action in the event of these occurring. •	Ensure equipment is set up in order to meet the needs of the programmed activities. •	Undertake cleaning tasks as required to ensure the centre is well presented and monitor standards of cleanliness in customer critical areas such as changing rooms and toilets. •	Monitor customer use within the centre and ensure unsafe practices are promptly dealt with or reported as appropriate. •	Attend monthly swimming training sessions in order to demonstrate competency and maintain a valid NPLQ qualification. •	Follow the processes laid down in the SMS (Serco Management System), in particular, the Pool Normal Operating, Pool Emergency and Centre Emergencies Procedures. •	Consistently and actively apply good housekeeping principles, such as turning off lights and equipment when not in use, in order to contribute to our strategy to reduce utility consumption and carbon footprint. If you are invited to interview for the Leisure attendant/swim coach roles, you will be required to complete a swim test as part of the interview process, in order to be considered for the role you must be able to demonstrate you are able to do the following.